i recently discovered the awesomeness that is a puffle (a pastry filled with whatever you desire then cooked in a waffle maker). so here is my version made with my vegan 5 minute dough then filled with peanut butter and chocolate and layered with strawberries after cooking. delicious. 1) Combine all ingredients and mix well by hand until a dough forms. Heat up your waffle maker. 2) Measure your waffle maker then flatten dough into a circular shape that will fit into the waffle maker. Spoon ~2 tbsp peanut butter on one side of the dough and place chocolate pieces on top. 3) Fold the other half of the dough on top of the fillings and pinch edges together. Place in waffle maker and cook for a few minutes. Pick up the puffle and gently press the seams onto the waffle maker so they cook as well. 4)Place puffle on a plate and microwave for ~1 minute to ensure dough is completely cooked. 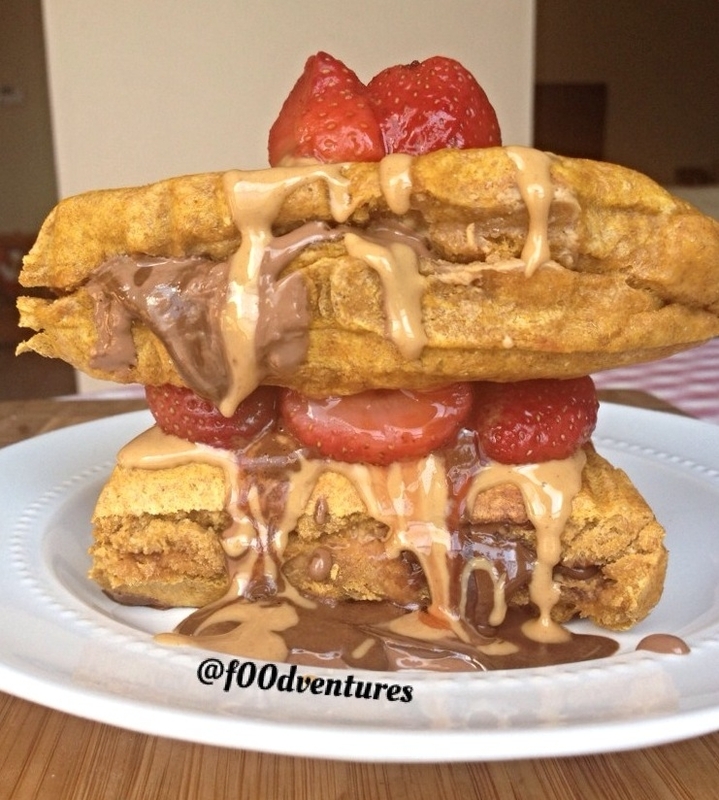 Cut in half and layer with strawberries and remaining peanut butter. Enjoy!